Hey loves, thank you for stopping by the blog. I hope you all had a wonderful and blessed weekend. My weekend was fabulous. My hubby took part in the regional lines man Rodeo and did extremely well. Izzy spent the weekend with her GrandmaT which means we had a child free weekend which was excellent. 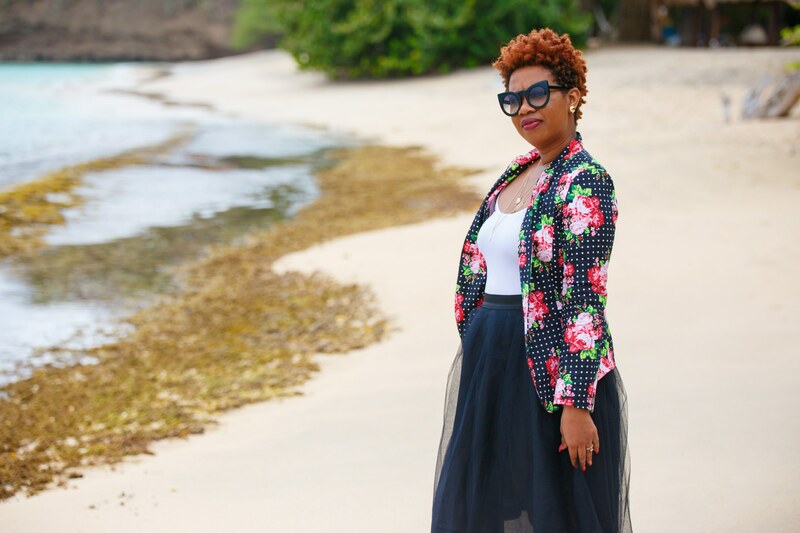 Today’s outfit post was shot on the beautiful Grand Anse beach. The best beach in the Caribbean and I am not exaggerating. Maxi dresses should always be a “Must Haves” in every girl’s closet. Maxi dresses are ranking number one of the biggest trend this season and one of my favorites. I decided to style this colour block maxi by adding a brown belt to accentuate my waistline. I also added some brown wedge heels and gold accessories to add some glam to this look. Three reasons why I love everything about this statement dress, one because it was given to me as a gift from a very special and dear friend, two I just love how the colours blend together to create such beauty and elegance which gives a beach vacation feeling and three it is a conversation starter and will definitely keep heads turning.